Allis-Chalmers own limited slip differential on rear wheels provides automatic controlled traction, putting more drive force on the wheel with best traction in slippery going. Aids maneuverability and control, helps reduce scuffing in tight turns, too. 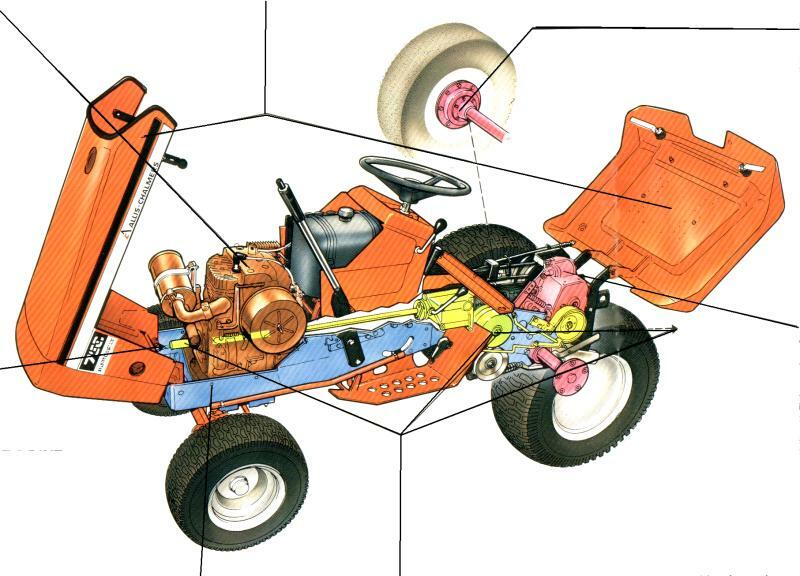 Allis-Chalmers in-line design aligns engine, bevel gear box and transmission driveshaft with crankshaft to help reduce vibration. Belt power transfer dampens shock loads between engine and transmission for smoother operation, less gear and bearing wear. 4 speeds... Hydrostatic drive that lets you change direction and control ground speed without clutching. All have belt power transfer that puts a shock dampener between engine and transmission to reduce shock loads and gear and bearing wear. Engine power independent from the transmission is provided at 3 power take-off points--front, center and rear. 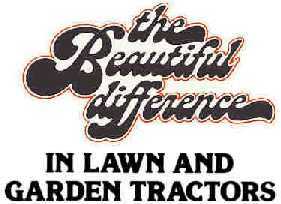 Easy on, easy off implements can be powered without long belts or complicated brackets.